Alright another month is upon us here at Rewards Canada! As is usually the case at the start of any month we get the details of major new bonus offers! The battle is heating up for premium economy passengers here in Canada. A few weeks ago WestJet announced the blocking of the center seat in their Plus Cabins this September and now Air Canada Rouge has revamped their premium cabin on their A319s with new Business Class seats. 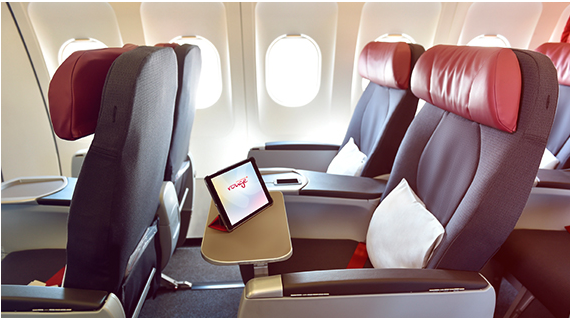 The economy class seats that only offered more leg room are now Rouge Plus. The new Rouge Premium cabins have wider business class style seats with in seat power and pop up cocktail trays. Find out more here. Two major promotions were announced today, Starwood's Make it Count and Club Carlson's Country Inns & Suites offer. See links to the posts below for details!